It takes a huge number of people and organizations to make a campaign like this a success. The BC Falls and Injury Prevention Coalition would like to thank all of our campaign partners who helped turn this idea into a reality including: our funders, all the people who gave their time and energy on feedback along the way, and our models and locations who generously helped us to take the photos needed for the campaign. Click on our partners’ logos to visit their websites to learn more about each organization. 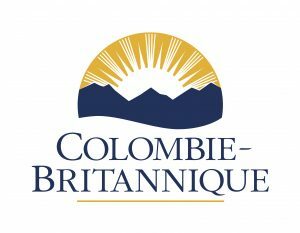 The BC Centre for Disease Control and FindingBalanceBC recognize the financial support of the Province of British Columbia and the Government of Canada through the Canada-British Columbia Agreement on French-language Services. The BC Falls and Injury Prevention Coalition (BCFIPC) is a multisectoral collaborative of individuals or organization members who have regional or provincial-level representation for an organization, academic institution, professional association and/or community agency whose work has the ability to influence the reduction falls and fall-related injuries among older persons in British Columbia.